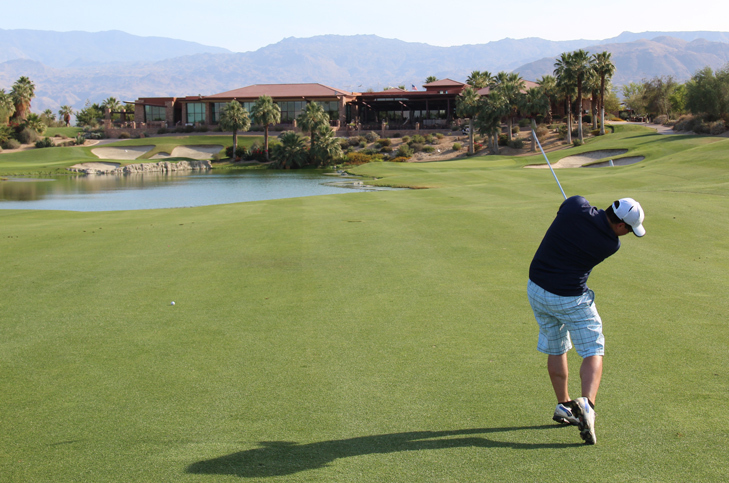 Desert Willow Golf Resort, Firecliff Hole 3: This par three appears tighter from the tee box than it actually is. Although the golfer will be left with a tough chip from left of the green, there is actually room over there, whereas from the tee, any shot left appears dead. The green is very small and short-siding oneself in any of the three sand traps will make for a very difficult up and down. 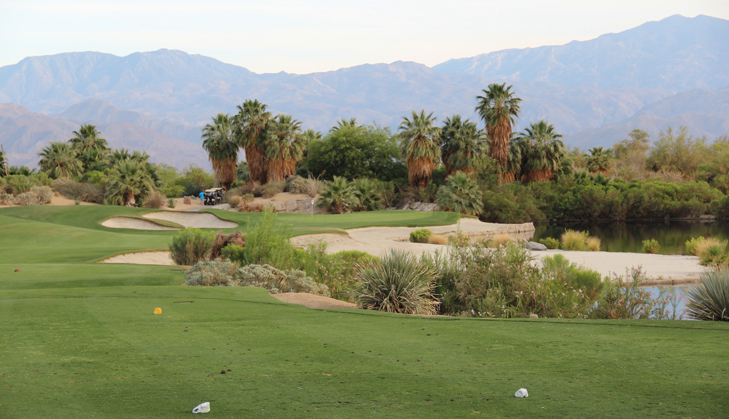 Desert Willow Golf Resort, Firecliff Hole 6: The only short par four on the front has water running down the right of the fairway and a series of bunkers left, but the second shot is the tricky one as the green is surrounded on three sides by water. Left pin placements are much easier than anything center or right. 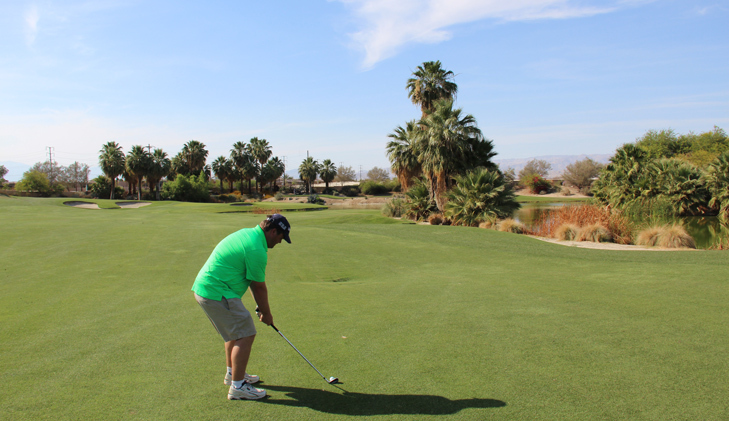 Desert Willow Golf Resort, Firecliff Hole 8: This short par three really doesn't have a good place to miss, although left and long are decidedly the worst options. The green is, as usual, very small. 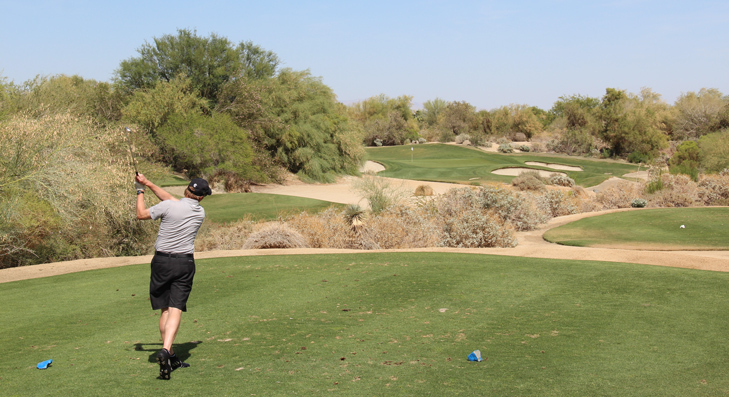 Desert Willow Golf Resort, Firecliff Hole 9: The front closes with this long and nasty par four. The drive is fairly open but must be smashed to leave a reasonable approach to the small green sandwiched between a huge bunker and hill to the right and lake all the way down the left and behind. Desert Willow Golf Resort, Firecliff Hole 12: Another tough par four, this one has a huge bunker down the left and pin placements left of center are decidedly more challenging. However, the bunker to the right doesn't make pin placements to the right any bargain either. Desert Willow Golf Resort, Firecliff Hole 14: This par three plays into a little bowl and has a small green even for this course. Going anywhere but on the putting surface (except maybe just short) will make for a very difficult up and down from sand or downhill chips. 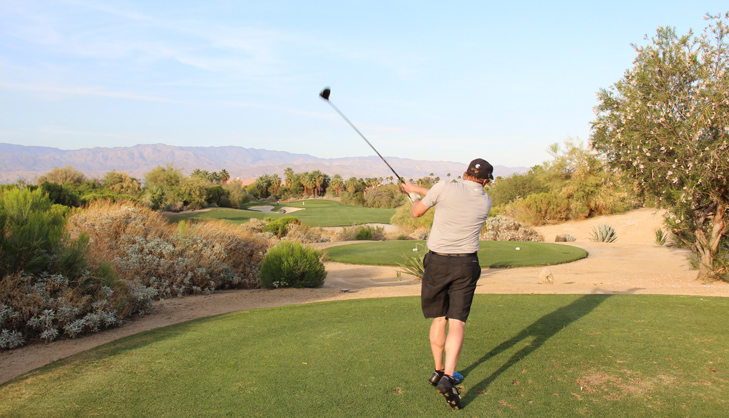 Desert Willow Golf Resort, Firecliff Hole 15: The "breather" hole on the back nine is this short par four with a fairly wide fairway. The only real trouble is the large bunker short and left of the green. 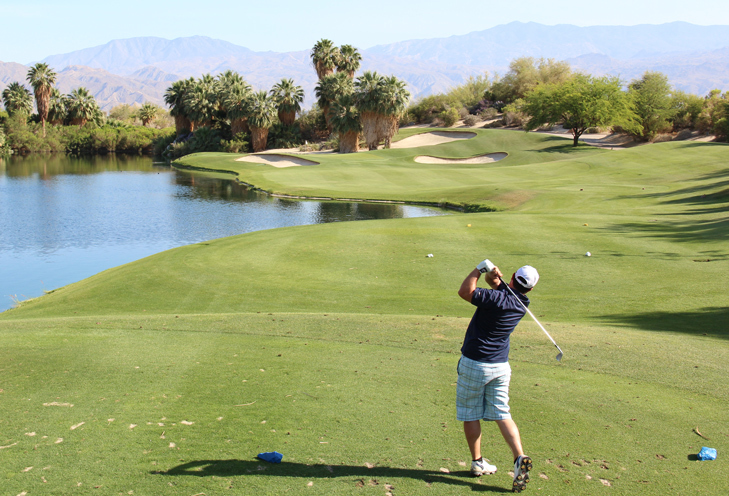 Desert Willow Golf Resort, Firecliff Hole 17: This par three is on the other side of the lake from #8. It is longer and more difficult with water to the right and sand otherwise encircling the putting surface. 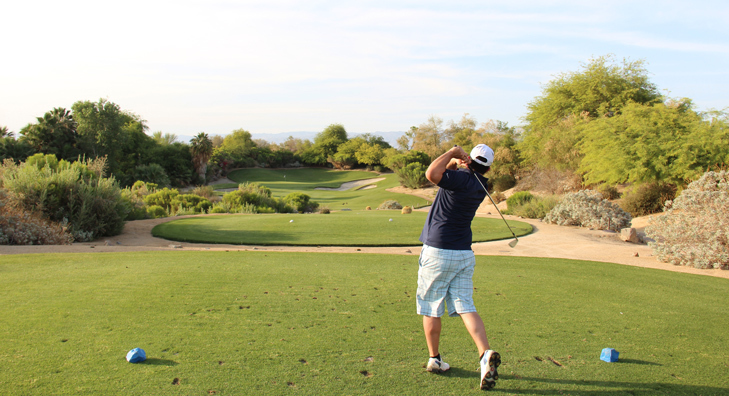 Desert Willow Golf Resort, Firecliff Hole 18: The final hole is a risk / reward par five with a straight drive. From there, the golfer has to avoid the water right and a myriad of bunkers down the left. The green is set behind the water except for the left third, which is the best opportunity to score on this hole.